In 2019, customers want physical and technical experiences to co-exist in a way that adds value to their shopping journeys and convenience to their everyday lives. In our 2019 Furniture Industry Trend Guide, we review the State of the Industry and the Evolution of Retail. We also provide retailers with 9 strategic technology initiatives to prioritize in 2019. Top 100 retailers evolve by adopting new business practices and technologies that meet the ever-changing trends in consumer shopping behavior. Seamlessly integrating their digital and in-store experiences is a strategy retailers are investing in. Discover how Top 100s thrive in a dynamic marketplace. With more furniture retailers having a presence on the web, it’s crucial to set your website apart. eCommerce has a significant role in creating a seamless customer experience. 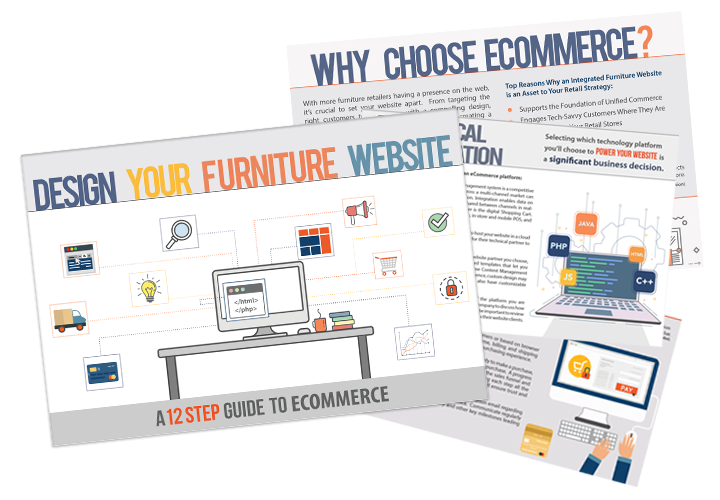 This guide highlights 12 steps that will help retailers develop a successful eCommerce website for home furnishings. Further adoption of innovative technologies, savvier websites, shifts in consumer behavior, and renewed in-store experiences. In our 2018 Industry Trend Guide, we highlight these key influencers of the marketplace and shed light on actionable strategy for retailers. 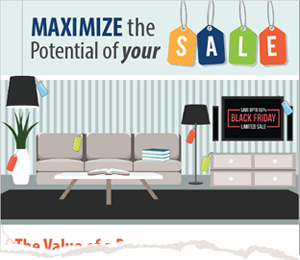 Discover the Ultimate Guide to Unified Commerce in the Home Furnishings Industry. Retail has experienced a fundamental shift. Retailers can capitalize on this important retail strategy with 30+ tactics highlighted in our guide to Unified Commerce. Successful CXM is a game-changer for retail operations and sales associates alike. 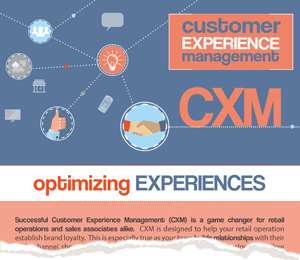 CXM is designed to establish brand loyalty and increase the lifetime value of a customer. 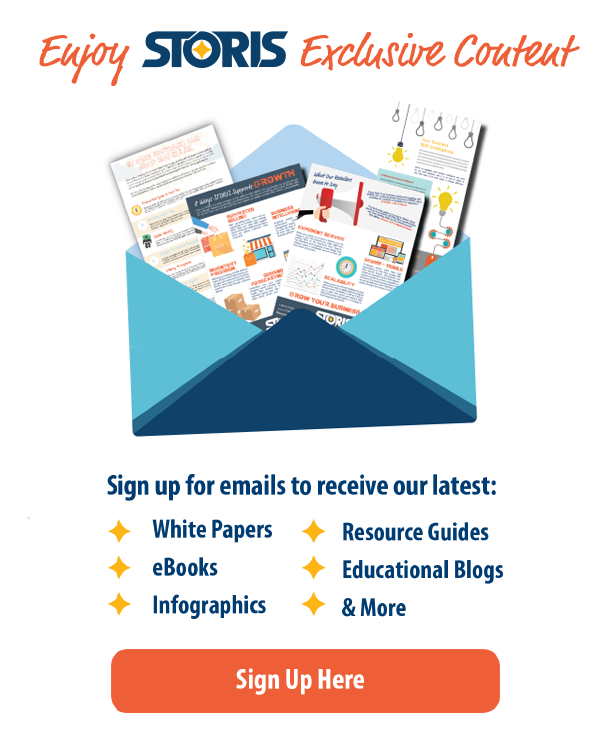 Discover how to help your team build relationships with their multi-channel shoppers. Retailers excelling today fuel their businesses with data. BI improves decision-making, increases operational efficiency, and delivers a competitive advantage. In our new guide, discover the benefits of BI including data accessibility, visualizations, mobility, and security. 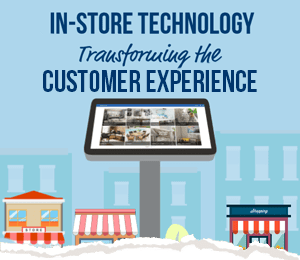 The Kiosk is here to elevate the in-store customer experience by merging the attributes of online shopping that customers love into the world of brick and mortar retailing. The ability to offer discounts to your customers can be an integral part of a retail pricing strategy. Offering a potential customer the opportunity to save money is a proven way to capture their attention. 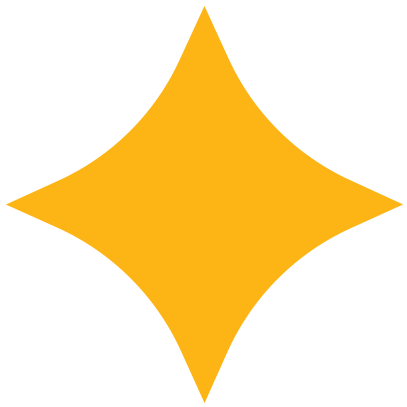 Your merchandising strategy directly influences your revenue potential. 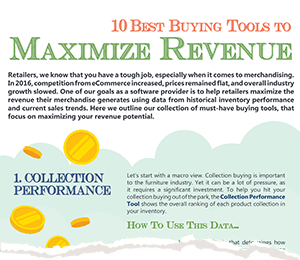 Back by popular demand, our “10 Best” series highlights key buying tools for revenue growth. 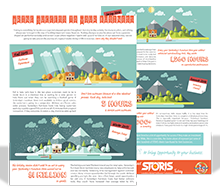 STORIS helps retailers achieve 99% inventory accuracy and improve KPIs. 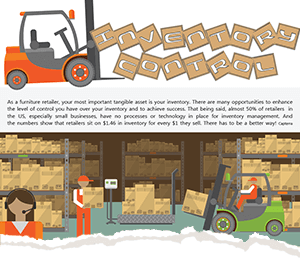 In our Ultimate Inventory Guide, we provide insightful takeaways for control. 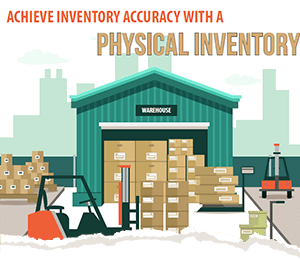 This inventory guide provides tips for a smooth Physical Inventory including preparations, step by step instructions, and insights for year round success. 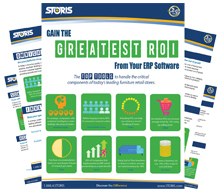 When you partner with STORIS, you get more than just software. In our guide to Implementation Success guide, we highlight 10 steps for a smooth implementation. Do you ever wonder about the impact on your business when inadequate software is utilized for years? Find out what revenue you could be leaving on the table. 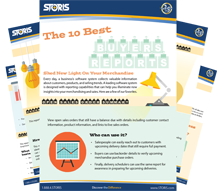 In “The 10 Best Buyer’s Reports” we highlight the reports every merchandiser needs to succeed and how they can shed new light on your business. Technology is integral to the shopping experience. Learn why having regularly enhanced technology can help you best engage with your customers. 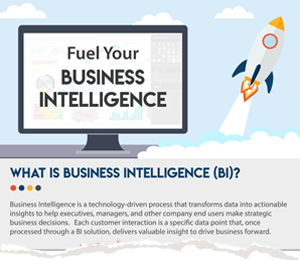 Business Intelligence (BI) is a goldmine. Here we share how you can utilize the BI you collect each day to increase revenue, cut costs and improve profitability. Data Warehouse is one of the most powerful data mining tools in Business Intelligence. Learn more about how Data Warehouse can help you uncover BI. Software helps retailers find opportunities for growth with features and functionality. As retailers grow software should support that growth through its infrastructure. Many retailers struggle to find a way to reach optimal efficiency in their operations. Our tip sheet lays out five key points to improve retail operations. Did you know there are many features built into great software that can help you optimize your delivery service? Here, we outline the features that help make your business successful. Advanced Warehouse Management provides your warehouse staff with powerful tools for logistics and distribution. Learn about the positive impacts. The Cloud is the future of software. Here we outline important attributes of the Cloud that make it a smart, strategic choice for hosting your furniture retail software. Discover why using an integrated accounting & POS system can help your business achieve many benefits including improving accuracy and saving time. Many retailers face the fear of falling victim to a credit card breach. Here we highlight 5 eye-opening reasons why you should implement EMV in your retail store. 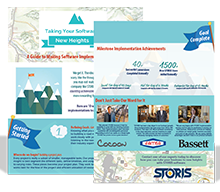 In our guide to user friendly software, we help you recognize key software features that make software intuitive and improve productivity. Learn how Special Order Processing, an advantage for your business to expand your product offering, can be simplified with the use of leading technology tools. JIT inventory management allows you to maximize your on-hand inventory and capitalize on sales using key timing factors as the basis for strategic decision making. Retailers have the ability to streamline communications with strategic partners including vendors and manufacturers. Find out more about the benefits of EDI. Having a branded presence across your documents gives your company a polished, professional look. Learn how to easily design customized forms.